A blend of three varieties of Tulsi (Krishna, Rama and Vana), that creates a delicious brew with high mineral and antioxidant properties. 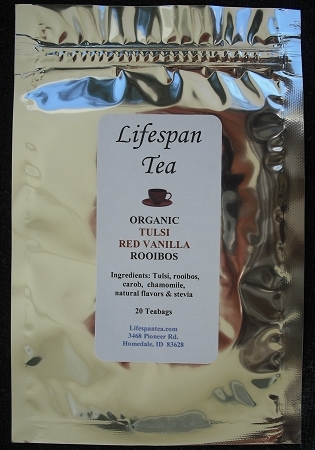 Ingredients: Tulsi, rooibos, carob, chamomile, natural flavors & stevia. Organic and caffeine free.